I wanted to read this book for a long time now but when I started watching, it didn't have much of a grip me. Hence I decided to stop reading midway and tried out for the movie first. There is a ton of material which is missing from the movie but has given more context to the book. I felt like there was something missing which would surely give this book a much better traction. 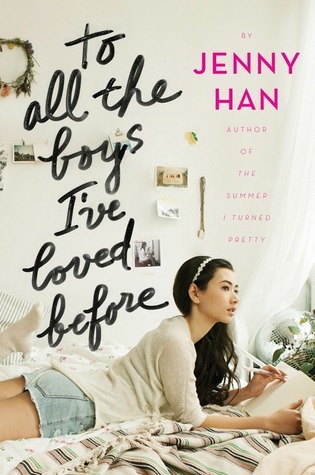 I have read a lot of teen fictions before but this one so far looks good. It has a lot of cultural references which would just go overhead if you are not accustomed with them. Being an Indian I had to google almost every other food item or some dialogue. It can be a good learning experience for sure. This book shows the perspective of a teenager from USA for sure. It's a simple story but nothing unique or attention gripping to it. I felt this was an okayish read. Although it was annoying when the book ended on the cliffhanger. I know the end since I already had seen the movie but still, the cliff hanger won't drive me to read the next one if I hadn't watched the movie first. Many of my friends said it gets interesting ahead hence I just decided to post a little review for it instead of reviewing the whole series.